B.S., Applied Mathematics and Mechanics, East China Engineering Institute, Nanjing, China. 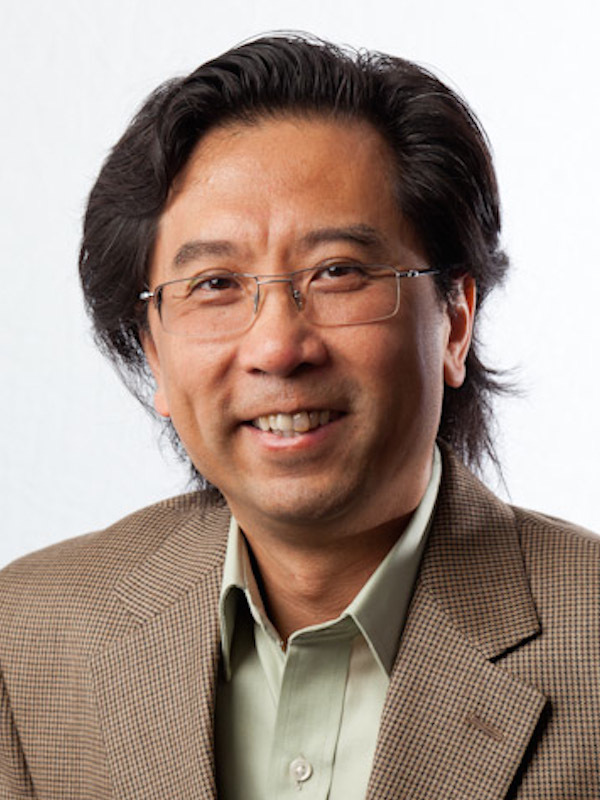 Chang’s expertise is on climate dynamics and climate prediction, as well as global and regional climate modeling. He leads a research group in global and regional climate modeling studies at tamu and has developed research collaborations with many institutions in the us and other countries. Chang’s research involves the understanding of climate variability and predictability, including el niño-southern oscillation (enso), tropical atlantic variability (tav) and atlantic multidecadal oscillation (amo). He published over 120 refereed journal articles (http://scholar.google.com/citations?User=ciw1niuaaaaj&hl=en). Some of his research has been used to guide the design of major international research programs, such as the Climate Variability and Predictability (CLIVAR)(http://www.clivar.org). He co-chaired the International CLIVAR Atlantic Research Panel (http://www.clivar.org/clivar-panels/atlantic) and was a contributing author to three chapters in the Fifth Assessment Report (AR5) of the Intergovernmental Panel on Climate Change (IPCC). Chang, P. and G. Philander, 1989: Rossby Wave Packets in Baroclinic Mean Current, Deep-Sea Res., 36, 17-37. Chang, P. and G. Philander, 1990: Quasi-Geostrophic Oceanic Adjustment in the Presence of Mean Currents, Dyn. Atmos. and Oceans, 14, 387-414. Chang, P., 1990: Oceanic Adjustment in the Presence of Mean Currents in a Reduced-Gravity Shallow Water Ocean on the Equatorial plane, J. Geophys. Res., 95, 15,975-15,995. Long, B. and P. Chang, 1990: On the propagation of an equatorial Kelvin wave in a varying thermocline, J. Phys. Oceanogr., 20 , 1826-1841. Hayes, S., P. Chang and M. McPhaden, 1991: Variability of upper ocean heat content in the east Pacific Ocean during 1986 - 1988, J. Geophys. Res., 96, 10,553-10,566. Chang, P., 1991: Coastal Kelvin waves in the presence of a slowly varying topography, J. Fluid Mech., 231, 303-324. Chang, P., 1992: A note on solitary Waves along Potential Vorticity Fronts on an f-plane. J. Oceanogr., 49, 477-489. Chang, P.,1994: A Study of Seasonal Cycle of Sea Surface Temperature in the Tropical Pacific Ocean Using Reduced Gravity Models, J. Geophys. Res., 99 , 7725-7741. Chang, P., 1994: Seasonal Cycle of Sea Surface Temperature and the Mixed Layer Heat Budget in the Tropical Pacific Ocean . Geophys. Res. Lett., 20, 2079-2082. Chang, P. and G. Philander, 1994: A coupledOcean-Atmosphere Instability of Relevance to the seasonal cycle. J. Atmos. Sci., 51, 3627-3648. Chang, P., B. Wang, T. Li and L. Ji, 1994: Interactions between the Seasonal Cycle and the Southern Oscillation – Frequency Entrainment and Chaos in a Coupled Ocean-Atmosphere Model. Geophys. Res. Lett., 21, 2817-2820. Chang, P., L. Ji, B. Wang and T. Li, 1995: On the interactions between the Seasonal Cycle and the Southern Oscillation in a Coupled Ocean-Atmosphere Model. J. Atmos. Sci., 52, 2353-2372. Wang, B., T. Li and P. Chang, 1995: An Intermediate Model of the Tropical Pacific Ocean. J. Phys. Oceanogr., 25, 1599-1616. Flügel, M. and P. Chang, 1996: Impact of dynamical and stochastic processes on the predictability of ENSO. Geophys. Res. Lett., 23, 2089-2092. Li, X., P. Chang and R.C. Pacanowski, 1996: A wave-induced stirring mechanism in the mid-depth equatorial ocean. J. Mar. Res., 54, 487-520. Chang, P. 1996: The role of dynamic ocean-atmosphere interaction in the tropical seasonal cycle. J. Climate, 9, 2973-2985. Chang, P., L.Ji, H. Li and M. Flügel 1996: Chaotic Dynamics versus Stochastic Process in El Niño-Southern Oscillation in Coupled Ocean-Atmosphere Models. Physica D, 98, 301-320. Chang, P., L. Ji and H. Li, 1997: A decadal climate variation in the tropical Atlantic Ocean from thermodynamic air-sea interactions, Nature, 385, 516-518. Lysne, J. A., P. Chang and B. Giese, 1997: Impact of the Extratropical Pacific on Decadal Variability in the Tropics, Geophys. Res. Lett., 24, 2589-2592. Chang, P., C. Penland, L. Ji, H. Li and L.Matrasova, 1998: Predicting Decadal Sea Surface Temperature Variability in the Tropical Atlantic Ocean, Geophys. Res. Lett., 25, 1193-1196. Chang, P. and D. S. Battisti, 1998: The Physics of El Niño, Physics World, 11, 41-47. Flügel, M. and P. Chang, 1998: Impact of the Seasonal Cycle on ENSO Prediction, J. Atmos. Sci., 55, 3230-3243. Li, X. J. and P. Chang, 1999: Equatorial Wave Activity in the Mid-depth Atlantic Ocean and the Associated Mixing from an Eddy-Resolving Ocean General Circulation Model, J. Geophys. Res., 104, 13303-13325. Flügel, M. and P. Chang, 1999: Stochastically induced ”decadal” modulation of El Niño-Southern Oscillation, Geophys. Res. Lett., 26, 2473-2473. Saravanan, R. and P. Chang, 1999: Oceanic mixed layer feedback and Tropical Atlantic variability. Geophy. Res. Lett., 26, 3629-3633. Chang, P., Saravanan, R., L. Ji and G.C. Hegerl, 2000: The Effect of Local Sea-Surface Temperatures on Atmospheric Circulation over the Tropical Atlantic Sector, J. Climate, 13, 2195-2216. Saravanan, R. and P. Chang, 2000: Interactions between the Pacific ENSO and tropical Atlantic climate variability, J. Climate, 13, 2177-2194. Penland, M.C., M. Flügel and P. Chang, 2000: On the identification of dynamic regime of an intermediate coupled model, J. Climate, 13, 2105-2115. Chang, P., L. Ji, and R. Saravanan, 2001: A hybrid coupled model study of tropical Atlantic variability. J. Climate, 14, 361-390. Seager, R. , Y. Kushnir, P. Chang, N. Naik, J. Miller and W. Hazeleger, 2001: Looking for the role of the ocean in tropical Atlantic decadal climate variability. J. Climate, 14, 638-655. Barreiro, M. and P. Chang, 2001: Variability of the South Atlantic Convergence Zone simulated by an Atmospheric General Circulation Model, J. Climate, 15, 745-763. Chang, P., B. S. Giese, L. Ji, H. F. Seidel and F. Wang, 2001: Decadal change in the south tropical Pacific in a global assimilation analysis, Geophys. Res. Lett., 28, 3461-3464. Marshall, J., Y. Kushnir, D.S. Battisti, P. Chang, A. Czaja, J. Hurrell, M. McCartney, R. Saravanan and M. Visbeck, 2001: Altantic Climate Variability, Inter. J. Climat., 21, 1863-1898. Wang, F., P. Chang, D.X. Hu and H. Seidel, 2001: Seasonal Circulation in the Northwestern Tropical Pacific Ocean Diagnosed with the data assimilation data from 1989 through 1997, J. Hydrodynamics, 13, 65-73. Wang, F., P. Chang, D.X. Hu and H. Seidel, 2002: Circulation in the western tropical Pacific ocean and its seasonal variation, Chinese Science Bulletin, 47, 591-595. Tippett, M.K., and P. Chang, 2003: Some theoretical considerations on predictability of linear stochastic dynamics. Tellus, 55A, 148-157. Chang, P., R. Saravanan, and L. Ji, 2003: Tropical Atlantic Seasonal Predictability: the Roles of El Niño Remote Influence and Thermodynamic Air-Sea Feedback, Geophys. Res. Lett., 30, 1501-1504. Zhang, L., M. Fl¨ugel, and P. Chang, 2003: Testing stochastic mechanism for low-frequency variation of ENSO predictability, Geophys. Res. Lett., 30, 1630-1633. Giannini, A., R. Saravanan and P. Chang, 2003: Oceanic forcing of Sahel Rainfall on interannual to interdecadal timescales, Science, 302, 1027-1030. Flügel, M., P. Chang and M. C. Penland, 2004: The role of stochastic forcing in modulating ENSO predictability, J. Climate, 15, 3125-3140. Wang, F. and P. Chang, 2004: Effect of oceanic advection on the potential predictability of Sea Surface Temperature, J. Climate, 15, 3603-3615. Chang, P., R. Saravanan, T. DelSole, F.Wang, and L. Ji, 2003: Predictability of Linear Coupled Systems. Part I: Theory, J. Climate, 17, 1474-1486. Chang, P., R. Saravanan, T. DelSole, F.Wang, and L. Ji, 2003: Predictability of Linear Coupled Systems. Part II: An application to a simple coupled model of Tropical Atlantic Variability. J. Climate, 17, 1487-1503. Barreiro, M. and Chang, P. 2004: A linear tendency correction technique for improving seasonal prediction of SST, Geophy. Res. Lett., 31, 23209-23213. Barreiro, M., P. Chang, L. Ji, R. Saravanan and A. Giannini, 2004: Dynamical Elements of Predicting Boreal Spring Tropical Atlantic Sea-Surface Temperatures, Dyn. Atmos. Oceans, 39 , 61-85. Saravanan, R. and P. Chang, 2005: Thermodynamic coupling and predictability of tropical sea surface temperature in Earths Climate: The Ocean-Atmosphere Interaction ed. Wang et al., Geophysical Monograph Series, 147, 171-180. Barreiro, M., P. Chang and R. Saravanan, 2005: Simulated precipitation response to SST forcing and potential predictability in the region of the South Atlantic convergence zone, Clim. Dyn., 24, 105-114. Da Silva, M. and P. Chang, 2005: Seasonal variation of the subtropical/tropical pathways in the Atlantic Ocean from an Ocean Date Assimilation Experiment in Earths Climate: The Ocean-Atmosphere Interaction ed. Wang et al., Geophysical Monograph Series, 147, 305-318. Barreiro, M., A. Giannini, P. Chang, and R. Saravanan, 2005: Role of the southern hemisphere atmospheric circulation in tropical Atlantic variability. Earths Climate: The Ocean-Atmosphere Interaction ed. Wang et al., Geophysical Monograph Series , 147 , 150-160. Giannini, A., R. Saravanan and P. Chang, 2005: The preconditioning role of TropicalAtlantic Variability in the development of the ENSO teleconnection: implications for the prediction of Nordeste rainfall, Climate Dyn., 22, 839-855. Giannini, A., R. Saravanan and P. Chang, 2005: Dynamics of the boreal summer African monsoon in the NSIPP1 atmospheric model, Climate Dyn., 25, 517 - 535. Collins, W. D., et al., 2005: The community climate system model: CCSM3, J. Climate , 19, 2122-2143, doi: 10.1175/JCLI3761.1. Kushnir, Y.,W. Robinson and P. Chang, 2006: The physical basis for predicting Atlantic sector seasonal-to-internnual climate variability, J. Climate, 19, 5949-5970. Chang, P., T. Yamagata and P. Schopf, et al., 2006: Climate Fluctuations of Tropical Coupled System – The Role of Ocean Dynamics, J. Climate, 19, 5122-5174. Chang, P., Y. Fang, R. Saravanan, L. Ji, and H. Seidel, 2006: The Cause of the Fragile Relationship Between Pacific El Niño and the Atlantic Niño, Nature, 443, 324-328. Chang, P., L. Zhang, R. Saravanan, J. D. Vimont, J. C. H. Chiang, L. Ji, H. Seidel, M. K. Tippett, 2007: Pacific Meridional Mode and El Niño-Southern Oscillation, Geophys. Res. Lett., 34, L16608, doi:10.1029/2007GL030302. Alexander, M., L. Matrosova, C. Penland, J. D. Scott and P. Chang, 2008: Forecasting Pacific SSTs: Linear Inverse Model Predictions of the PDO, J. Climate, 21, 385-402. Wang, F. and P. Chang, 2008: A Linear Stability Analysis of Coupled Tropical Atlantic Variability, J. Climate, 21, 2421-2436. Wu, Q., S. Mahajan, K.P. Bowman and P. Chang, 2008: Atmospheric Response to Atlantic Tropical Instability Waves in CAM3, J. Geophys. Res., 113, D15125, doi:101029/2007JD009474. Bruegem,W.-P., P. Chang, C. J. Jang, J.Mignot,W. Hazeleger, 2008: Barrier layers and tropical Atlantic SST biases in coupled GCMs, Tellus, 60A, 885897. Fang, Y., J. C. H. Chiang and P. Chang, 2008: Variation of Mean Sea Surface Temperature and Modulation of El Nino-Southern Oscillation Variance during the Past 150 Years, Geophys. Res. Lett., 35, L14709, doi:10.1029/2008GL033761. Chiang, J. C. H., Y. Fang, and P. Chang, 2008: Interhemispheric thermal gradient and tropical Pacific climate, Geophys. Res. Lett., 35, L14704, doi:10.1029/2008GL034166. Chang, P., R. Zhang,W. Hazeleger, C.Wen, X.Wan, L. Ji, R. J. Haarsma,W.-P. Breugem and H. Seidel, 2008: An Oceanic Teleconnection Between Abrupt Changes in High-Latitude North Atlantic Climate and the African Monsoon, Nature Geoscience, 1, 444-448. Wang, F. and P. Chang, 2008: Coupled Variability and Predictability in a Stochastic Climate Model of Tropical Atlantic, J. Climate, 21 , doi: 10.1175/2008JCLI2283.1. Zhang, L., P. Chang andM. K. Tippett, 2008: Linking the Pacific MeridionalMode to ENSO: Utilization of a Noise Filter, J. Climate , 21 , doi: 10.1175/2008JCLI2474.1. Chiang, J. C. H., Y. Fang and P. Chang, 2008: Pacific Climate Change and ENSO activity in the Mid-Holocene, J. Climate, 21, doi: 10.1175/2008JCLI2644.1. Mahajan, S., R. Saravanan and P. Chang, 2008: The role of the wind-evaporation-sea surface temperature (WES) feedback in air-sea coupled tropical variability, Atmos. Res., doi:10.1016/ j.atmosres.2008.09.017. Zhang, L., P. Chang and L. Ji, 2009: Linking the Pacific Meridional Mode to ENSO: Coupled Model Analysis, J. Climate, 22, 34883505. Wan, X., P. Chang, R. Saravanan, R. Zhang, M.W. Schmidt, 2009: On the Interpretation of Caribbean Paleo-Temperature Reconstructions During the Younger Dryas, Geophys. Res. Lett. , 36 , L02701, doi:10.1029/2008GL035805. Saenger, C., P. Chang, L. Ji, D. W. Oppo, and A. L. Cohen, 2009: Tropical Atlantic climate response to low-latitude and extratropical sea-surface temperature: A Little Ice Age perspective, Geophys. Res. Lett., 36, L11703, doi:10.1029/2009GL038677. Wen, C. and P. Chang, 2009: Effect of AtlanticMeridionalOverturningCirculation Changes on Tropical Atlantic Sea-Surface Temperature Variability: A 2.5 layer Reduced Gravity Ocean Model Study, J. Climate, 23 , 312-332, doi:10.1175/2009JCLI3042.1. Alexander, M. A., D. J. Vimont, P. Chang and J. D. Scott, 2010: The Impact of Extratropical Atmospheric Variability on ENSO: testing the Seasonal Footprinting Mechanism using Coupled Model Experiments, J. Climate, 23, 2885-2901, doi: 10.1175/2010JCLI3205.1. Wan, X., P. Chang and M. W. Schmidt, 2010: The Causes of Tropical Atlantic Paleo-Salinity Variation During the Period of Reduced AMOC, Geophys. Res. Lett. , 37, L04603, doi:10.1029/2009GL042013. Mahajan, S., R. Saravanan and P. Chang, 2010: Free and forced variability of the tropicalAtlantic ocean: role of the wind-evaporation-sea surface temperature (WES) feedback, J. Climate , 23 , 3885-3901, doi:10.1175/2010JCLI3304.1. Li, C., L. Wu and P. Chang, 2010: A Far-Reaching Footprint of the Tropical Pacific Meridional Mode on the Summer Rainfall over China, J. Climate , doi: 10.1175/2010JCLI3844.1. Mahajan, S., R. Saravanan and P. Chang, 2011: The Role of the Wind Evaporation Sea Surface Temperature (WES) Feedback as a Thermodynamic Pathway for the Equatorward Propagation of High-Latitude Sea Ice Induced Cold Anomalies. J. Climate, 24 , 13501361. doi: 10.1175/2010JCLI3455.1. Lin, C.-Y., C.-R. Ho, Q. Zheng, N.-J. Kuo, P. Chang., 2011: Warm pool variability and heat flux change in the global oceans, Glob. Planet. Change, doi:10.1016/j.gloplacha.2011.02.006. Wen, C., P. Chang, R. Saravanan, 2011: Effect of Atlantic Meridional Overturning Circulation on Tropical Atlantic Variability: A Regional Coupled Model Study, J. Climate, doi:10.1175/2011JCLI3845.1. Wan, X., P. Chang, C. S. Jackson, L. Ji and M. Li., 2011: Effect of Climate Model Bias on Abrupt Climate Change Simulations in Atlantic Sector, Deep Sea Res. II, 58, 1904-1913, doi:10.1016/j.dsr2.2010.10.068. Wu, L., W. Cai, L. Zhang, H. Nakamura, A. Timmermann, T. Joyce, M. McPhaden, M. Alexander, B. Qiu, M. Visbeck, P. Chang & B. Giese, 2011: Enhanced Warming over the Global Subtropical Western Boundary Currents, Nature Climate Change, 2, 161166, doi:10.1038/nclimate1353. Zhu, X., R. Saravanan and P. Chang, 2011: Influence of Mean Flow on the ENSO-Vertical Wind Shear Relationship over the Northern TropicalAtlantic, J. Climate, 25 , 858-864, doi: http://dx.doi.org/10.1175/JCLID-11-00213.1. Patricola, C. M., M. Li, Z. Xu, P. Chang, R. Saravanan, J.-S. Hsieh, 2012: An Investigation of Tropical Atlantic Bias in a High-Resolution Coupled Regional Climate Model, Clim. Dyn., 39, 2443-2463, DOI10.1007/s00382-012-1320-5. Balaguru, K., P. Chang, R. Saravanan, L. R. Leung, Z. Xu, M. Li & J.-S. Hsieh, 2012: Ocean Barrier Layers’ Effect on Tropical Cyclone Intensification, PNAS, 109 , 14343-14347, doi:10.1073/pnas.1201364109/-/DCSupplemental. Schmidt, M.W., P. Chang, J. E. Hertzberg, T. R. Them, L. Ji, B.L. Otto-Bliesner, 2012: Impact of Abrupt Deglacial Climate Change on Tropical Atlantic Subsurface Temperatures, PNAS, 109, 14348-14352, doi:10.1073/pnas.1207806109/-/DCSupplemental. Xu, Z., M. Li, C. M. Patricola, and P. Chang: 2013: Oceanic Origin of Southeast Tropical Atlantic Biases, Clim. Dyn., DOI 10.1007/s00382-013-1901-y. Lynch-Stieglitz, J., M. W. Schmidt, L. G. Henry, W. B. Curry, L. C. Skinner, S. Mulitza, R. Zhang, P. Chang, 2013: Ocean Circulation Response to Glacial Aged Heinrich Events, Nature Geosciences, 7, 144150, doi:10.1038/ngeo2045. Patricola, C.M., R. Saravanan and P. Chang, 2014: The Impact of the El Nio-Southern Oscillation and Atlantic Meridional Mode on Seasonal Atlantic Tropical Cyclone Activity, J. Climate, 27, 53115328. doi:http://dx.doi.org/10.1175/JCLI-D-13-00687.1. Xu, Z., P. Chang, I. Richter and W.-M. Kim, 2014: Diagnosing Southeast Tropical Atlantic SST and Ocean Circulation Biases in the CMIP5 Ensemble, Clim. Dyn., DOI10.1007/s00382-014-2247-9. Lee, S-Y., J. C. H. Chiang and P. Chang, 2015: Tropical Pacific response to continental ice sheet topography, Clim. Dyn., DOI10.1007/s00382-014-2162-0. Patricola, C.M., P. Chang and R. Saravanan, 2015: Impact of Atlantic SST and High Frequency Atmospheric Variability on the 1993 and 2008 Midwest Floods: Regional Climate Model Simulations of Extreme Climate Events, Clim. Change., 129, 397-411, DOI10.1007/s10584-013-0886-1. Ma, X., P. Chang R. Saravanan, D. Wu, X. Lin, L. Wu, 2015: Winter Extreme Flux Events in the Kuroshio and Gulf Stream Extension Regions and Relationship with Modes of North Pacific and Atlantic Variability, J. Climate, 28, 49504970, doi: http://dx.doi.org/10.1175/JCLI-D-14-00642.1. Walsh, K. J. E., S. J. Camargo, G. A. Vecchi. A. S. Daloz, J. Elsner, K. Emanuel, M. Horn, Y.-K. Lim, M. Roberts, C. Patricola, E. Scoccimarro, A. H. Sobel, S. Strazzo, G. Villarini, M. Wehner, M. Zhao, J. Kossin, T. LaRow, K. Oouchi, S. Schubert, H. Wang, J. Bacmeister, P. Chang, F. Chauvin, C. Jablonowski, H.Murakami, T. Ose, K. A. Reed, R. Saravanan, Y. Yamada, C. M. Zarzycki, P. L. Vidale, J. A. Jonas, and N. Henderson, 2015: Hurricanes and climate: the U.S. CLIVAR working group on hurricanes. Bulletin of the American Meteorological Society, 96, 9971017, doi: http://dx.doi.org/10.1175/BAMS-D-13-00242.1. Parker, A. O., M. W. Schmidt and P. Chang, 2015: Tropical North Atlantic subsurface warming events as a fingerprint for AMOC variability during Marine Isotope Stage 3, Paleoceanography, DOI: 10.1002/2015PA002832. Nnamchi, H. C., J. Li, F. Kucharski, I.-S. Kang, N. S. Keenlyside, P. Chang and R. Farneti, 2015: Thermodynamic controls of the Atlantic Niño, Nature Communication, 6, doi:10.1038/ncomms9895. Jing, Z., P. Chang, S. DiMarco, L. Wu, 2015: Role of Near-Inertial Internal Waves in Sub-thermocline Diapycnal Mixing in the Northern Gulf of Mexico, J. of Phys. Oceanogr., 45, 31373154, doi: http://dx.doi.org/10.1175/JPO-D-14-0227.1. Ma, X., P. Chang, R. Saravanan, R. Montuoro, J. Hsieh, D. Wu, X. Lin and L. Wu, 2015: Distant Influence of Kuroshio Eddies on North Pacific Weather Patterns? Scientific Reports, 5, 17785, doi:10.1038/srep17785. Patricola, C.M., P. Chang and R. Saravanan, 2015: Degree of Simulated Suppression of Atlantic Tropical Cyclones Controlled by Flavour of El Niño, Nature Geoscience, 9 , 155160, doi:10.1038/ngeo2624. Richter, I., P. Chang, T. Doi, T. Kataoka, M. Nagu-ra, P. Oettli, S. de Szoeke, T. Tozuka and Z. Xu, 2016: An overview of coupled GCM biases in the tropics in The Indo-Pacific Climate Variability and Predictability ed. by S. K. Behera and T. Yamagata, World Scientific Series on Asia-Pacific Weather and Climate. ISBN: 978-981-4696-61-6, 300pp. Nnamchi, H. C., J. Li, F. Kucharski, I.-S. Kang, N. Keenlyside, P. Chang and R. Farneti, 2016: An equatorial-extratropical dipole structure of the Atlantic Ni˜no, J. Climate , DOI: http://dx.doi.org/10.1175/JCLID-15-0894.1. Zuidema, P., P. Chang, et al. , 2016: Challenges and Prospects for Reducing Coupled Climate Model SST Biases in the Eastern Tropical Atlantic and Pacific Oceans: The U.S. CLIVAR Eastern Tropical Oceans Synthesis Working Group, Bulletin of the AmericanMeteorological Society, DOI: http://dx.doi.org/10.1175/BAMSD-15-00274.1. Zhang, Z., J. Tian, B. Qiu, W. Zhao, P. Chang, D. Wu and X. Wan, 2015: Observed 3D Structure, Generation, and Dissipation of Oceanic Mesoscale Eddies in the South China Sea, Scientific Reports, 6, 24349, doi:10.1038/srep24349. Kim, W. M., S. Yeager P. Chang and G. Danabasoglu, 2016: Atmospheric conditions associated with Labrador Sea deep convection: New insights from a case study of the winters of 2007-2008, J. Climate, 29, 5281-5297, DOI:http://dx.doi.org/10.1175/JCLI-D-15-0527.1. Ma, X., Z. Jing, P. Chang, X. Liu, R. Montuoro, R. J. Small, F. O. Bryan, R. J. Greatbatch, P. Brandt, D. Wu, X. Lin & L. Wu, 2016: Western boundary currents regulated by interaction between ocean eddies and the atmosphere, Nature , 535 , 533-537, doi:10.1038/nature18640. Jing, Z. and P. Chang, 2016: Modulation of Small-Scale Super-InertialWaves by Near-Inertial Internal Waves, J. Phys. Oceanogr., doi:10.1175/JPO-D- 15-0239.1. Haarsma, R.J., M. Roberts, P. L. Vidale, C. A. Senior, A. Bellucci, Q. Bao, P. Chang, S. Corti, N. S. Fûckar, V. Guemas, J. von Hardenberg,W. Hazeleger, C. Kodama, T. Koenigk, L. R. Leung, J. Lu, J.-J. Luo, J. Mao, M. S. Mizielinski, R. Mizuta, P. Nobre, M. Satoh, E. Scoccimarro, T. Semmler, J. Small, J.-S. von Storch, 2016: High Resolution Model Intercomparison Project (HighResMIP) for CMIP6, Geoscientific Model Development , doi:10.5194/gmd-2016-66. Ma, X., P. Chang, R. Saravanan, R. Montuoro, H. Nakamura, D. Wu, X. Lin, L. Wu, 2016: Importance of Resolving Kuroshio Front and Eddy Influence in Simulating North Pacific Storm Track, J. Climate, DOI:http://dx.doi.org/10.1175/JCLI-D-16-0154.1. Patricola, C. M. and P. Chang, 2016: The Benguela Low-Level Coastal Jet: Structure, Dynamics, and Biases in Models and Reanalyses, Clim. Dyn., DOI: 10.1007/s00382-016-3479-7. Patricola, C.M., R. Saravanan and P. Chang, 2016: A Teleconnection Between Atlantic Sea Surface Temperature and Eastern and Central North Pacific Tropical Cyclones, Geophys. Res. Lett., DOI:10.1002/2016GL071965. Fu, D., P. Chang and C. M. Patricola, 2017: Intrabasin Variability of East Pacific Tropical Cyclones During ENSO Regulated by Central American Gap Winds, Scientific Reports, 7, doi:10.1038/s41598-017-01962-3. Khade, V., P. Chang, I. Szunyogh, J. Kurian, K. Thyng, R. Montuoro, 2017: Oceanic Ensemble Forecasting in the Gulf of Mexico: An application to the case of the Deep Water Horizon oil spill, Ocean Modelling , http://doi.org/10.1016/j.ocemod.2017.04.004. Kovilakam, M., S. Mahajan, R. Saravanan, P. Chang, 2017: Climate Impacts of CALIPSO-Guided Corrections to Black Carbon Aerosol Vertical Distributions in a Global Climate Model, Geophys. Res. Lett., DOI:10.1002/2017GL074652. Kim, W. M., S. Yeager P. Chang and G. Danabasoglu, 2017: Low-Frequency North Atlantic Climate Variability in the Community Earth SystemModel Large Ensemble, J. Climate, https://doi.org/10.1175/JCLID-17-0193.1. Schmidt, M.W., P. Chang, A. O. Parker, L. Ji and F. He, 2017: Deglacial Tropical Atlantic subsurface warming links ocean circulation variability to the West African Monsoon, Scientific Reports, 7, doi:10.1038/s41598-017-15637-6. Dong, D., P. Brandt, P. Chang, F. Schütte, X. Yang, Z. Li, 2017: Mesoscale eddies in the Kuroshio Extension region, J. Geophys. Res. - Ocean, accepted. Roberts et al., 2017: The benefits of global high-resolution for climate simulation: process-understanding and the enabling of stakeholder decisions at the regional scale, Bulletin of the American Meteorological Society, submitted. Bracco, A., J. Choi, J. Kurian, P. Chang, 2017: Vertical and horizontal resolution dependency in the model representation of tracer dispersion along the continental slope in the northern Gulf of Mexico, Ocean Modelling, submitted. Patricola, C. M., R. Saravanan and P. Chang, 2017: The Response of Atlantic Tropical Cyclones to Suppression of African Easterly Waves, Geophys. Res. Lett., submitted. Liu, X., P. Chang, J. Kurian and R. Saravanan, 2017: Satellite Observed Precipitation Response to Ocean Mesoscale Eddies, J. Climate, submitted. Patricola, C. M., S. J. Camargo, P. J. Klotzbach, R. Saravanan, and P. Chang, 2017: The Influence of ENSO Flavors on Western North Pacific Tropical Cyclone Activity, J. Climate, submitted.